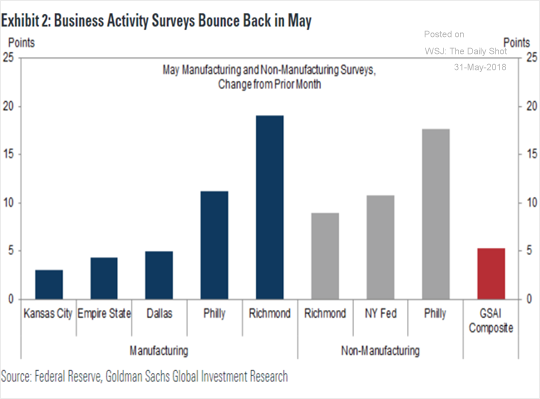 The United States: Below is a summary of the regional Fed survey changes in May (GSAI = Goldman Sachs Activity Indicator). 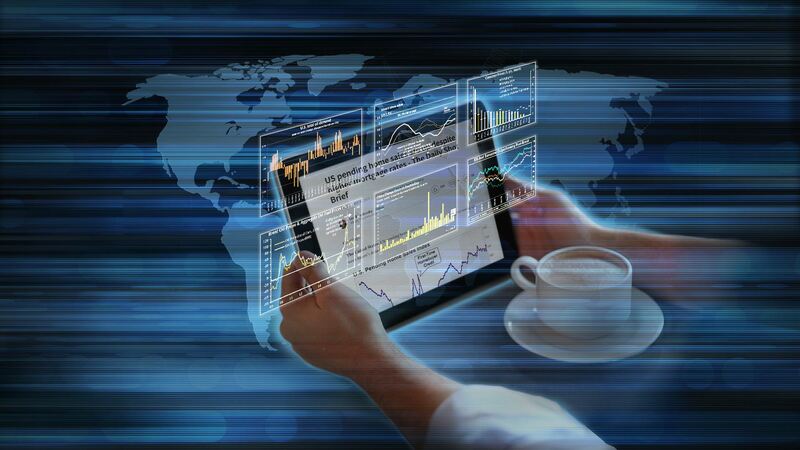 The ISM’s national manufacturing index will show a bounce this month (reported June 1st). 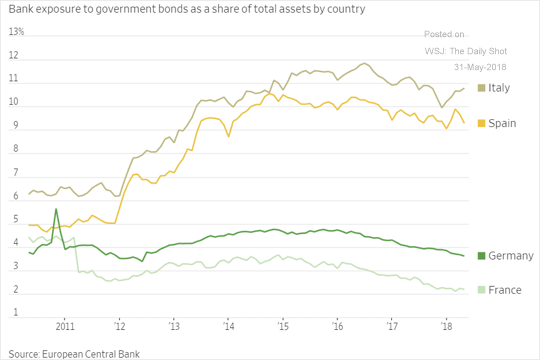 The Eurozone: The banking system’s persistent exposure to government debt (linking financial and sovereign risks) worries investors. 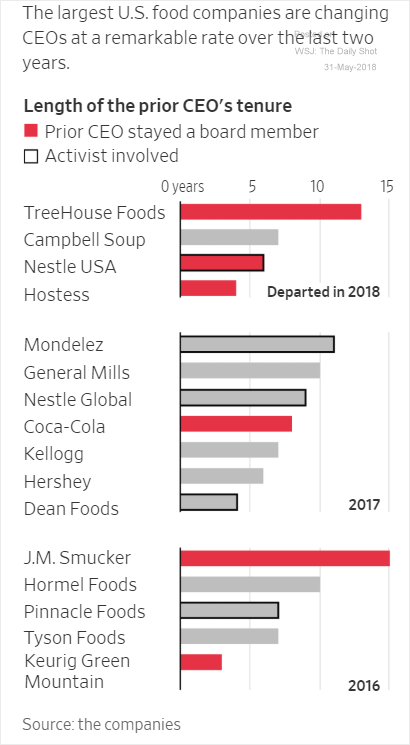 Equity Markets: The CEO churn at food companies has accelerated amid the consumer staples sector slump. 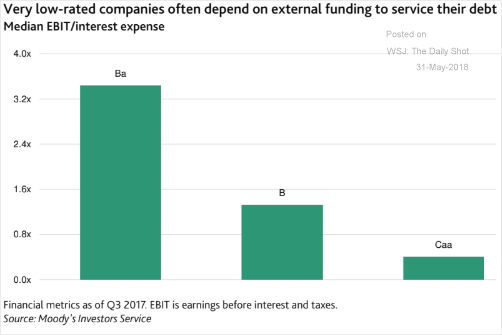 Credit: Many leveraged firms (so-called “zombie” companies) depend on external funding to service their debt. 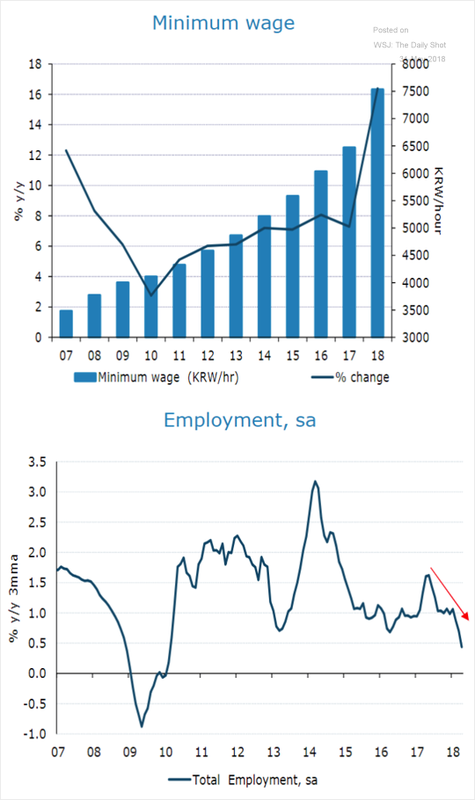 This is not going to end well when the economy slows. 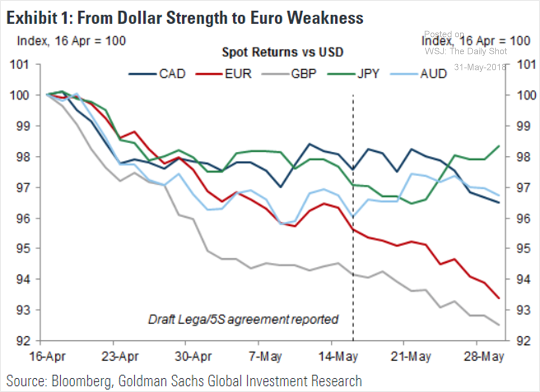 Global Developments: This chart shows the relative performance of the major currencies since April 16th. 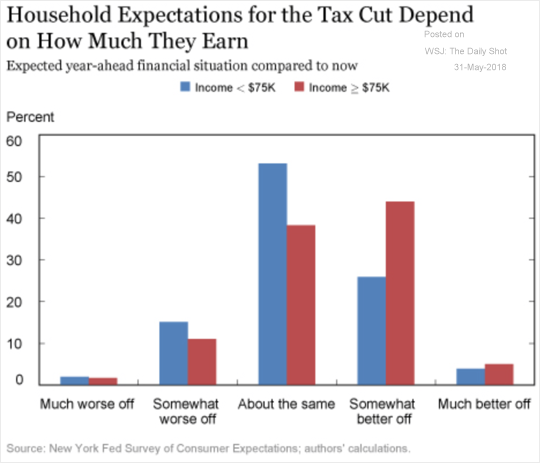 Food for Thought: How will your financial situation change as a result of the recent tax cuts?